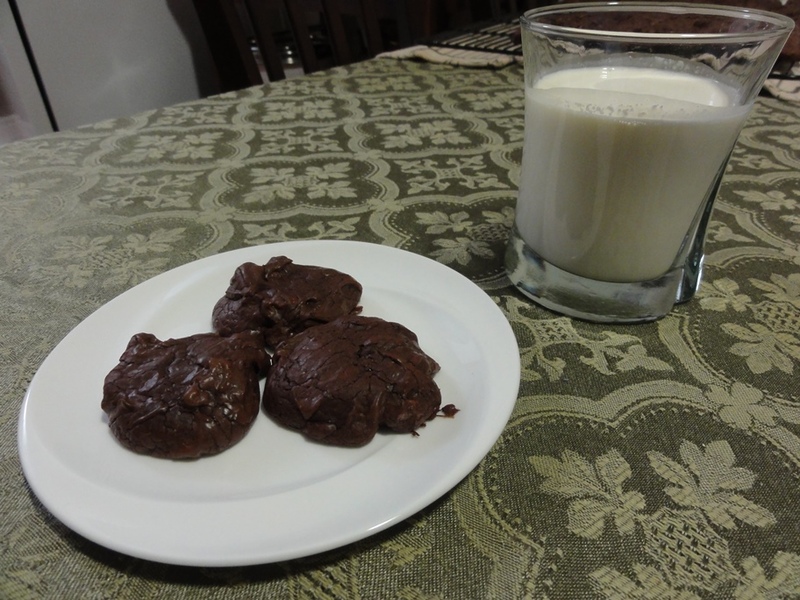 This recipe is courtesy of Fine Cooking magazine, and it’s from their “Best of Fine Cooking – Chocolate” 2006 edition. Warning: any of their “Best of Chocolate” magazines are fairly dangerous things to flip through if you’re trying to stay on a diet. Simply put, the name for these cookies is perfect. The proportion of chocolate far exceeds any other ingredient, the consistency is that of a brownie, and the form is that of a cookie. Also, they taste fantastic, being a little on the rich side on account of all that lovely chocolate. 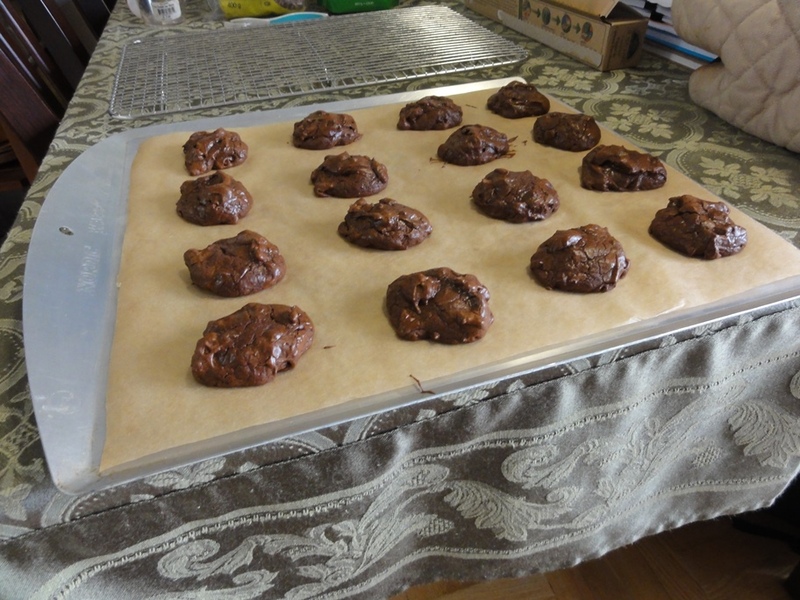 I was impressed by how quickly and easily these were to prepare; on my second attempt, starting with all the ingredients laid out but not measured, I had the first sheet of cookies in the oven in 30 minutes, which is pretty fast for me. The ingredients list is also relatively short, and nothing unusual, which is nice. The only modification I made to the original recipe was to substitute gluten-free flour, per the weight mentioned below in the ingredients. The pecans could easily be optional, or swapped for walnuts, or shredded coconut, or anything else you might have been inclined to put in a batch of chocolate brownies. White chocolate chips (you’d want them to be the mini variety) and chopped up macadamia nuts would be worth a try. Caramel might be a little tricky, since each cookie isn’t that big, but it sure sounds good. Melt the chocolate and butter together, and then set aside to cool. With a stand mixer fitted with the whisk attachment, beat the eggs and sugar on medium-high speed to a ribbon consistency; about 4 minutes. 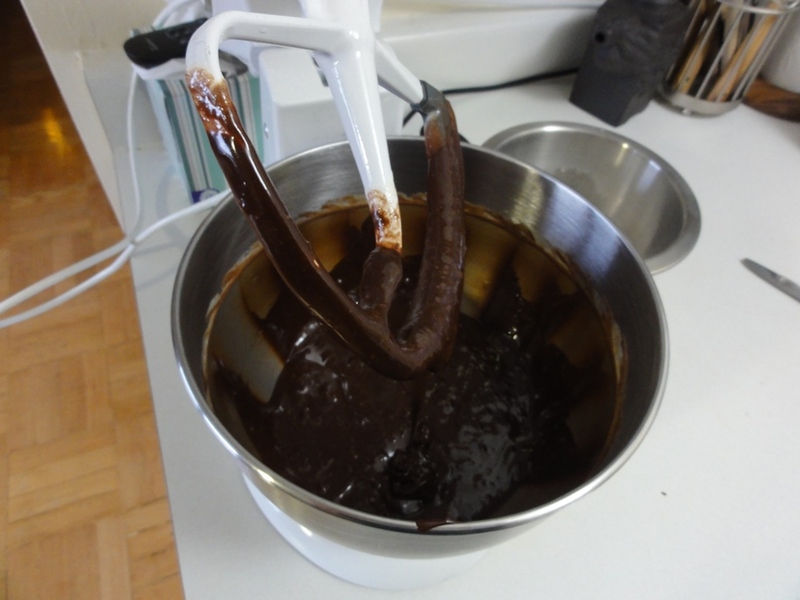 Add the cooled chocolate mixture and vanilla, and stir to combine. 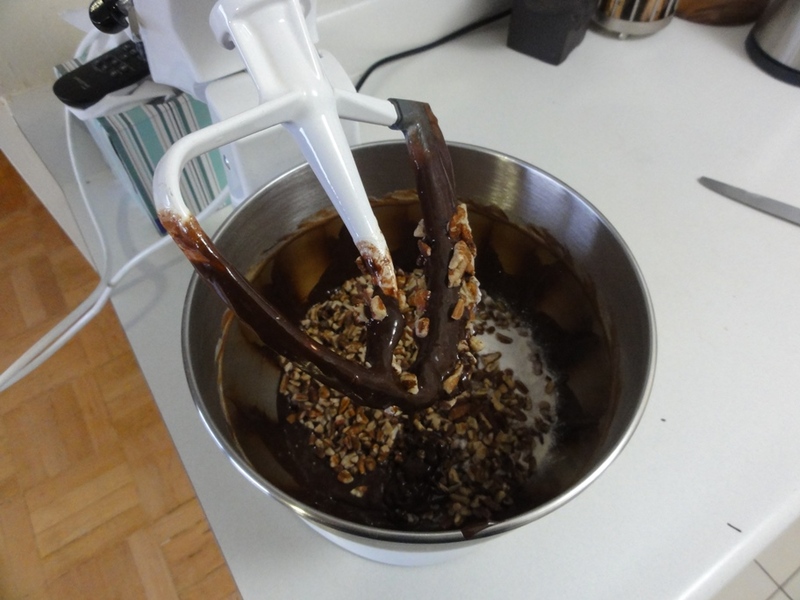 Stir the flour mixture and the nuts into the batter, and let rest for 5 minutes. Spoon even tablespoonful’s of batter onto a lined baking sheet. 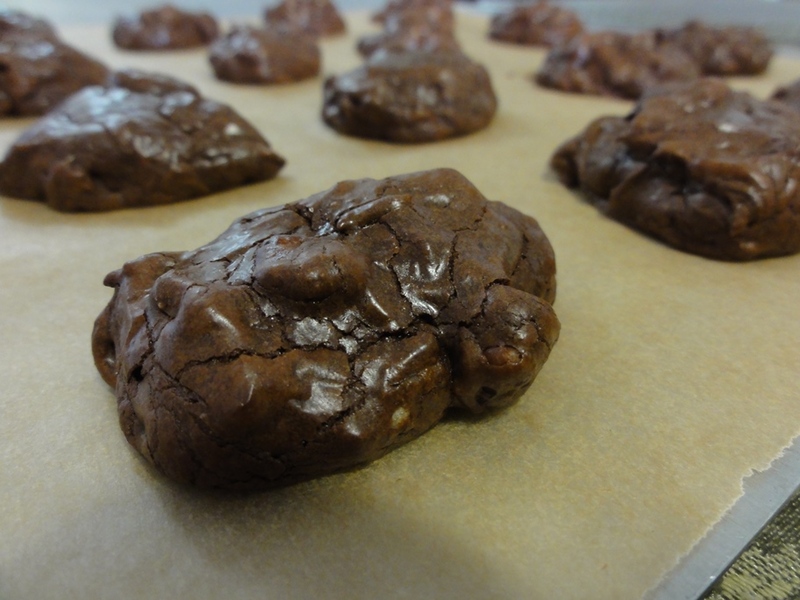 Bake until cookies are puffed and cracked and the tops barely spring back when pressed; about 8-10 minutes. 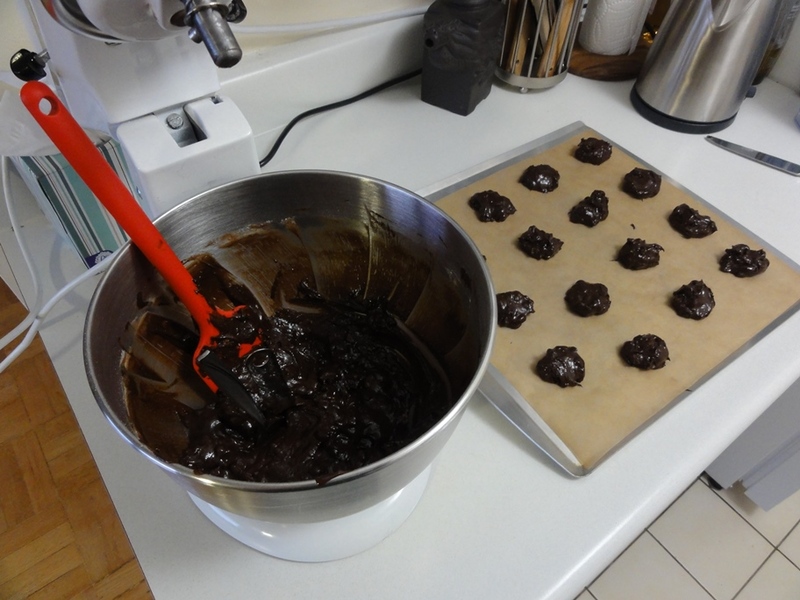 Let the cookies stand on the sheets for 5-10 minutes, and then transfer them to a wire rack to cool. 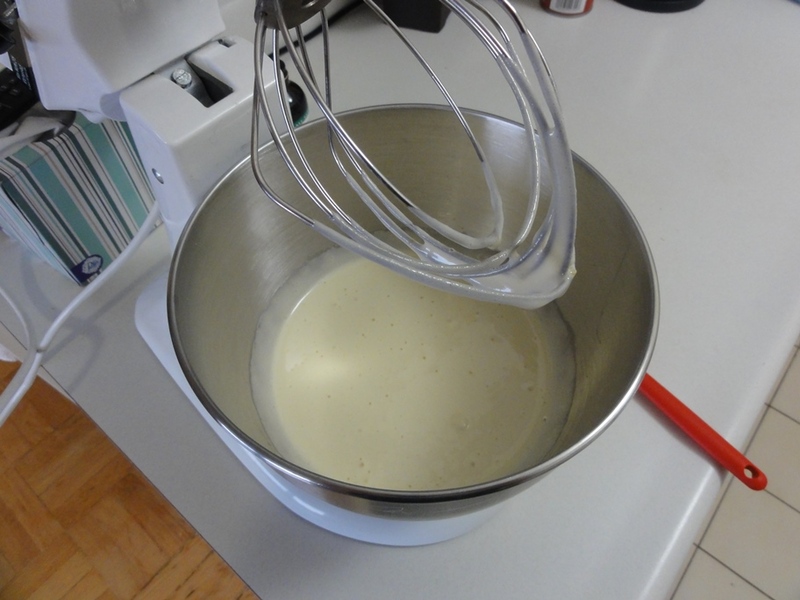 If you don’t have a stand mixer you could do the whisking with a hand-held mixer, but you’d probably want to whisk it for a couple of more minutes to get the right consistency. If all you have is a whisk and two arms, you’re probably going to turn both of them into jelly trying to whisk it fast enough and for long enough to get the right consistency. Thus, power tools are recommended, though arguably you’d burn enough calories to offset a few cookies doing it the old-fashioned way. For “toasted” pecans, 5 minutes at 350°F on parchment paper on a cookie sheet will do fine. 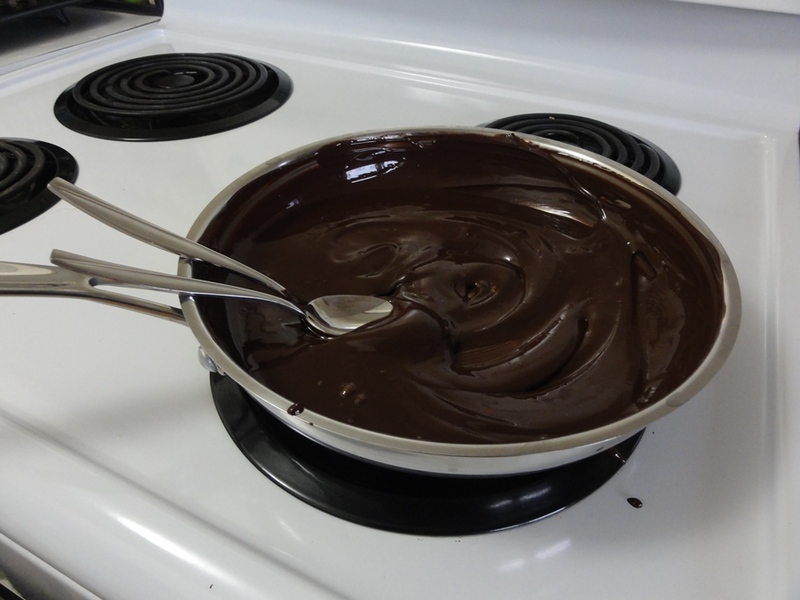 Be patient when melting chocolate, and have the stove set to low (between 2-3 on a 0-10 scale should be fine). If you burned 12 oz. of chocolate you’d be heartbroken so it’s worth taking the time. 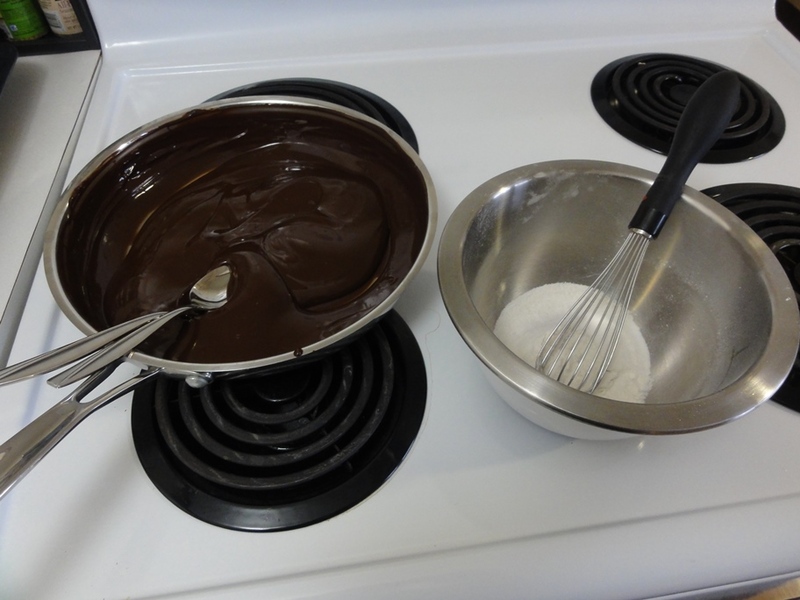 Melt the butter in the pan first, and as soon as its evenly melted (no lumps), add the chocolate and then stir slowly and continuously, distributing the chocolate around evenly until its smooth. When melting the chocolate and butter, you want a nice, smooth consistency, and you want to restrain yourself from pouring this into a cup and drinking it straight. The ratio of chocolate to flour is impressive and delicious. A “ribbon consistency”, which is to say the mixture holds to the whisk and has a smooth viscosity to it. It looks fairly foamy, lots of air bubbles, and doesn’t resemble eggs or sugar at all. Sort of like pancake batter. Mix the chocolate and vanilla together just until well-combined. The stirring attachment on the mixer or a rubber spatula will do. Fold in the flour mixture and pecans; this can be done at the same time, and again with the same attachment or a spatula. Spoon the batter out in even tablespoonful’s. Lining the cookie sheets with parchment paper will work fine; they’ll come right off after having cooled and it makes cleanup easier. The cookies will spread out a little in the oven, so be sure to leave some space between them. The tops should look firm and cracked when they’re done, but don’t worry too much if they don’t look perfectly done; they’ll set up further on the tray. Let them cool for 5-10 minutes on the tray and then transfer to a wire rack. Oh my, your bakes looks very amazing! Yummy!